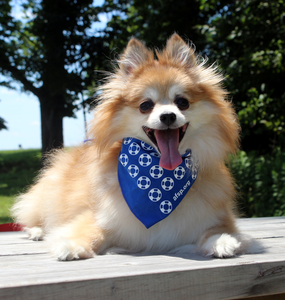 Now our furry friends can show their support for mental health and suicide prevention, right alongside their companions, with this Small Pet Bandana! 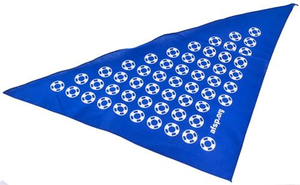 Featuring a blue background with AFSP’s lifesaver mark repeating in white across the front, and the AFSP website in white font towards the bottom. Your pet will be the talk of the runway while representing for a good paws. I mean, cause. 19” x 14” x 14”. Comes in packs of 10.